You have to wonder what it’s like for an artist who is obliged to write a new record. Inspiration is fickle; it doesn’t run on record company deadlines. When it came to tracking down that inspiration for Lights’ new album Little Machines, the musician struggled. Eventually she began writing by retracing her youth. And you can tell, too. Tracks like “Running With The Boys,” “Slow Down” and “Child” stare right back at the past, contemplate the process of aging and take the album through an exploratory reflection between life as a child and life as an adult. So it’s funny that Lights only found out she was going to have a child after most of the album was already written. You could call this type of falling-into-place scenario fate, but it would negate the fact that Lights has the ability to manipulate her point of view and look at certain challenges optimistically. So Lights handled this major development with grace, and her album, named for the tiny intricacies of industrial machines used to make sounds and beats, evolved with some unexpectedly organic elements during production thanks to the pregnancy. Her vocal chords were massively challenged while she was expecting, for example. “You don’t realize the abdominals you use until you don’t have them anymore, and you try to sing songs like ‘Up We Go,’ which is at the top of my range,” she said. “The entire time it was a challenge. I had to learn how to sing around that, and sing from a different place.” Now, she says, that battle made singing for the tour easier than ever. And that’s how Rocket Wild Bokan, born the day after Valentine’s Day, made her mark on Little Machines before she even entered the world. When Rocket finally did arrive, Lights says there was the inevitable uncertainty of having a baby during production, recording, and an already planned tour ahead. That indecision didn’t last long. Rocket’s currently on tour with her family and the rest of the Lights crew, teaching the gang how to hold a baby and turning friends into uncles, bringing out “something cool in everyone,” she says. So yes, in a way, things just seemed to fall into place for Lights. The record is full of little serendipitous moments, like the euphoric drive Lights took to her first studio session, diving a bit too fast and eventually getting a speeding ticket – a moment that led to “Speeding,” one of the album’s most viscous songs. Or take “Meteorites.” The song was sitting stagnant in her laptop for some time after Lights decided to head out to the desert, chilling at the Earthship – a completely off-the-grid, earth-friendly structure, where the singer rigged up her recording equipment to run on solar power. She says she belted out the lyrics then took a break to go down to the hot springs with an Earthship employee. But you can’t attribute Little Machines to just coincidence and good luck. How many people can turn a speeding ticket into a song or record vocals while in labor? 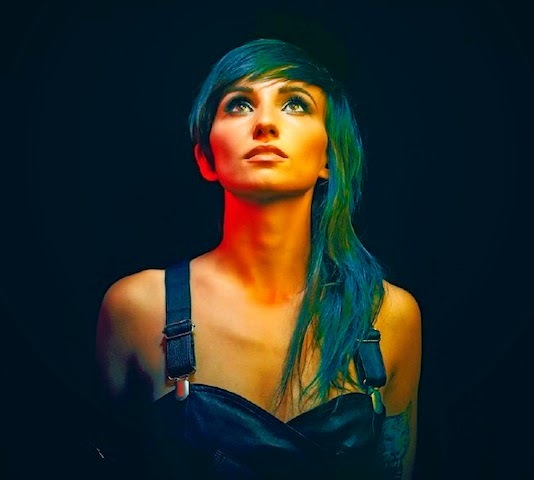 Lights is in a unique position to explore the clash of being a touring musician and a mother. And for her, the two don’t have to separate. Little Machines is out now via Warner Bros. Dates and ticket information for her current North American tour can be found here.